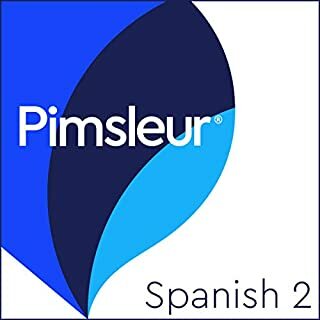 If you are looking to learn Spanish in a fast, simple way without entering a classroom, then you have chosen the perfect audiobook. 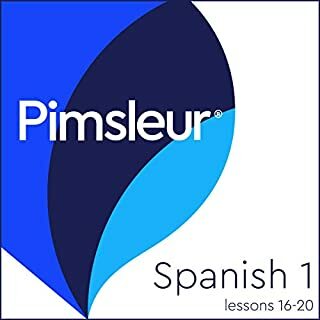 Conversational Spanish for Beginners and Travel is a comprehensive and simple program for learning Spanish in fast, simple, and interactive lessons that will help you learn Spanish in your car and reach native-level fluency in no time. The book was extremely elegantly composed. Surprise your friends! Astonish your family! With Pimsleur®, you’ll be speaking and understanding Spanish like a native in no time. 30 minutes a day is all it takes! Each phrase and sentence should be repeated at least twice each and spoken with more clarity. The audio is somewhat distorted.